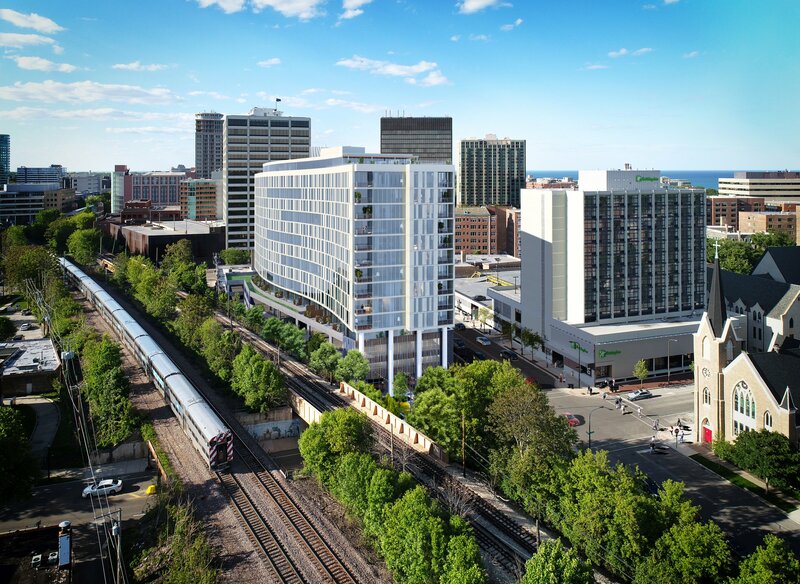 Evanston’s newest apartment building will anchor the southern end of the Sherman Avenue shopping district and reinvigorate an underutilized, partially vacant block. The transit-oriented and pedestrian-friendly location is ideally located near neighborhood restaurants, entertainment and shopping areas, and walking distance to Lake Michigan and the Northwestern University campus. 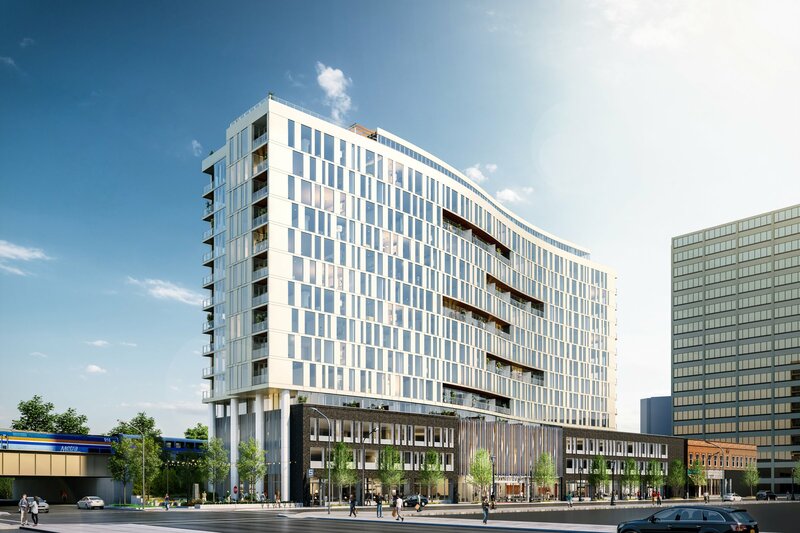 The 15-story structure, clad in brick, glass and pearlescent metal panels, will feature upscale apartments, ample amenities and outdoor spaces, on-site parking and 9,000 square feet of retail space. 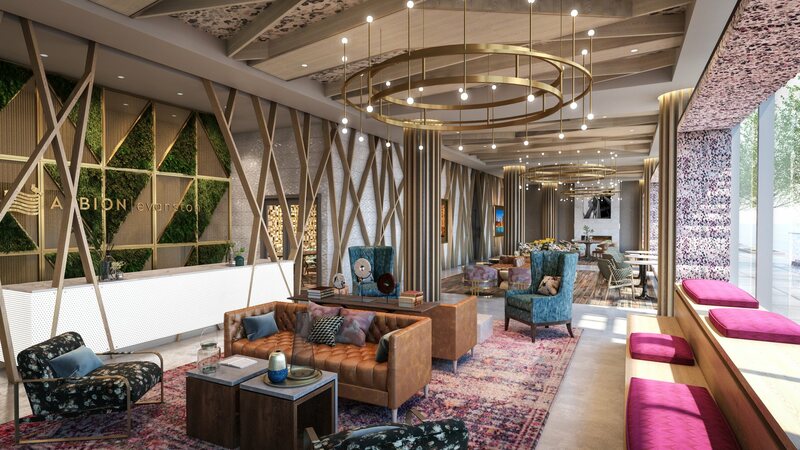 The development is designed to optimize economic development in Evanston, improve quality of life for residents and promote sustainable living. Architectural inspiration for the building’s unique S shape was derived from the shape of downtown Evanston, which rotates 21 degrees from north to south, in keeping with the shift of the Lake Michigan shoreline. The gentle curve of the building also contours to the commuter train line’s route that abuts the building’s west side.